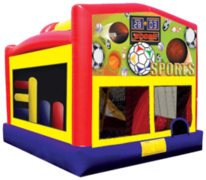 Webster Dictionary defines combination as an instrument designed to perform two or more tasks. 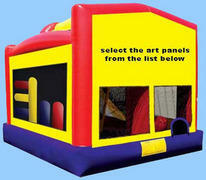 That is exactly what these Bounce Houses do. 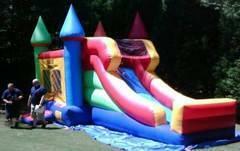 Some are simply a combination of a bounce and a slide. 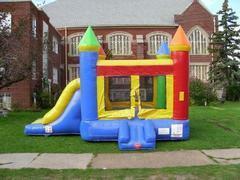 Then there are some that have obstacle course, climbing walls, basketball hoops, bounce and a slide. 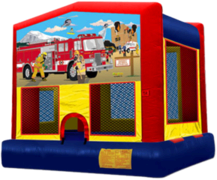 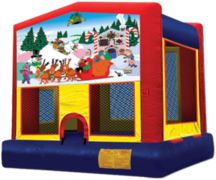 So when a standard bounce house is just not enough and you are looking for more excitement then try our Combination Units. 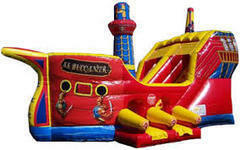 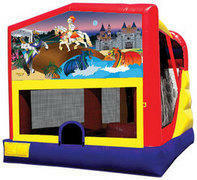 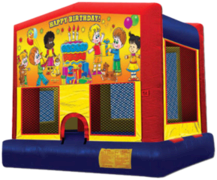 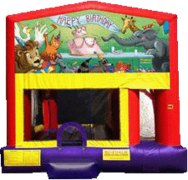 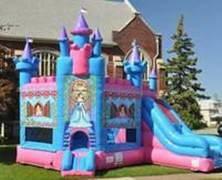 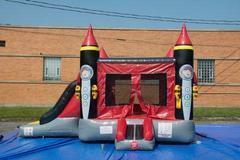 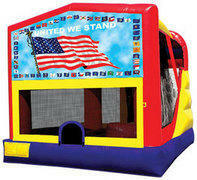 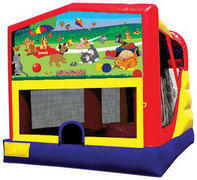 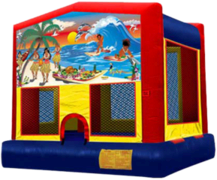 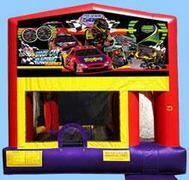 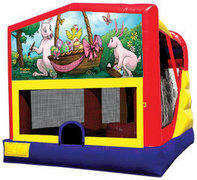 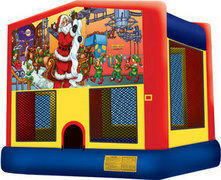 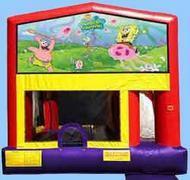 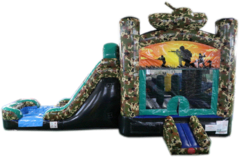 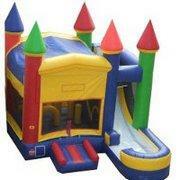 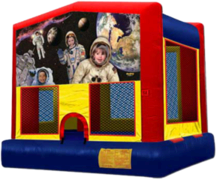 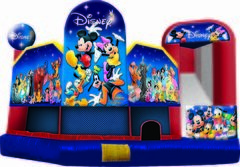 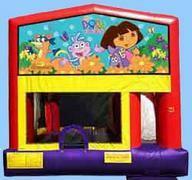 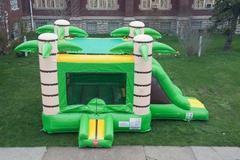 All Combination Bounce rentals are based on 6 hour rental. 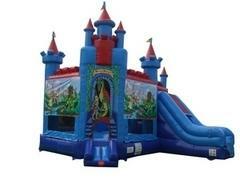 WET -Castle Combo with slide.